Researchers at Linda and Jack Gill Center for Biomolecular Science at IU Bloomington in a new study have discovered that a drug previously tested to treat osteoarthritis appears to block neuropathic pain and decrease signs of opioid dependence.It has been proved safe when used in combination with opioid-based pain medications.The relevant research work is reported in the journal Molecular Pharmacology. However, when a low dose of the experimental drug was combined with morphine, the mice no longer became tolerant to morphine, and that lack of tolerance remained even after the experimental drug was discontinued. The researchers also found the experimental drug could produce sustained pain relief on its own at higher doses. In another experiment, mice were given either morphine alone or morphine in combination with the experimental drug, and then treated with naloxone, which blocks the effect of opioids and induces opioid withdrawal symptoms. Remarkably, Hohmann said, the experimental drug also decreased the severity of these symptoms. Together, these results suggest the experimental drug could be used in combination with opioids to prevent tolerance, allowing satisfactory pain treatment with fewer side effects, or as a means to wean opioid-tolerant individuals off these drugs. 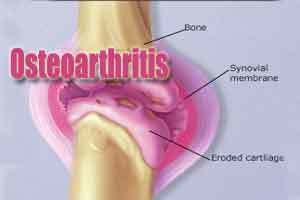 The researchers chose to explore the failed osteoarthritis drug because they had found that the compound acted in a unique way upon a target in the body known to play a role in pain relief.